Disney Boardwalk Inn evokes a bygone era as a romanticized recreation of Atlantic City and Coney Island boardwalk from the early 20th century. 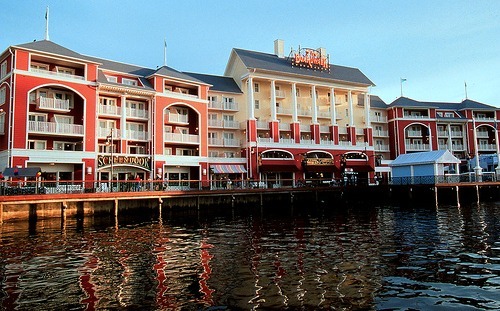 As a deluxe Disney resort, the Disney Boardwalk hotel offers great dining and amenities. The hotel is centrally located on Disney World property, offering easy access to two theme parks and boasts the Disney Boardwalk entertainment and nighttime district. 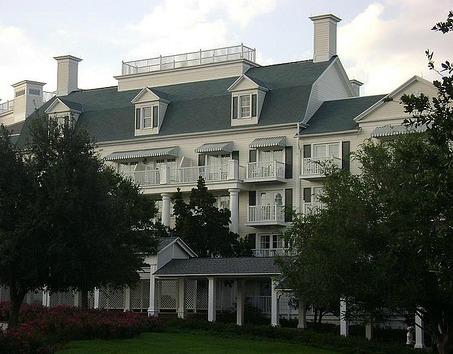 The Disney Boardwalk Inn is a lovely deluxe Walt Disney World hotel with beautifully landscaped grounds. The Disney Boardwalk Hotel has a carnival-like atmosphere with striped awnings, white picket fences, cotton candy, bikes and an actual boardwalk on Crescent Lake. The Disney Boardwalk is a dining, entertainment and shopping area on a wooden boardwalk. The lobby is classy and elegant. The Disney Boardwalk Inn has convention meeting space available. The Disney Vacation Club has villas at the Disney Boardwalk Villas. The Boardwalk Inn has 372 large rooms with 390 square feet of space. Rooms have balconies, DVD players and granite counter tops in the bathroom. Rooms were refurbished in 2008. Most rooms have two queen beds or one king and a daybed. Also available are room service and a variety of quick service options on the Boardwalk including coffee, pizza, funnel cakes and snacks. The elaborate Luna Park pool area has a festive carnival theme. Luna Park features a large pool and the Keister Coaster. The Coaster is a 200 foot long water slide that is built to resemble an old-fashioned white wooden roller coaster. As you exit the slide you are deposited into the pool through of the mouth of an enormous clown face. The pool area has a hot tub and kiddie pool. Two quiet pools are also located at the Boardwalk Inn. Walk or ride a boat to Epcot’s "backdoor" International Gateway from Boardwalk Hotel Disney. The Disney Studios can be reached by boat or a 20 minute walk from Boardwalk. Buses are available to all other areas of Walt Disney World. The Disney Boardwalk Inn is a special resort. The resort offers deluxe amenities, excellent dining and great entertainment options. 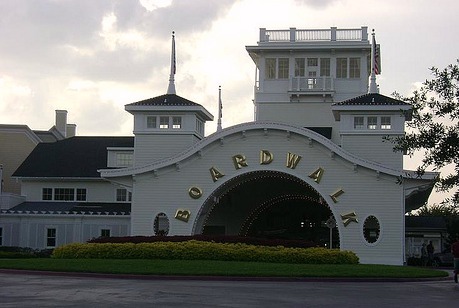 The Boardwalk Inn is one of the best located resorts in Walt Disney World. Expect to pay for this type of quality at Walt Disney World. 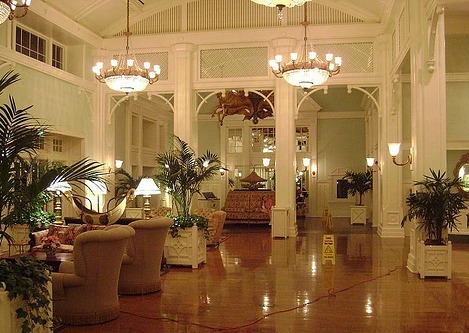 As a deluxe property, the Disney Boardwalk hotel is very expensive.